In this money driven online web world, it’s at times hard to find cheap clothing websites that offer best quality at the most reasonable prices and therefore we feel proud to introduce our Value for money section which will be beneficial to buy cheap clothes for women. Cheap shopping is not something easy as drinking a cup of tea. It requires special effort when you are in the middle of many online tags like bargain deal, Big deals, club deal, coupon deal, last minute deals, my deals, one day deals, one deal a day, online shopping deals, package deals, real deals, shopping deals, Star deals, super deals, today deals, top deals, and cheapest online shopping. Beware of those tags as sometimes they can be misleading. So think twice before you get trapped in such deals because it really hurts if somehow you will find out that the product’s real price is less and you end on shopping by paying high amount. Our motto is to guide our Valuable customer in right direction and therefore with no hidden terms we have launched special section called value for money. 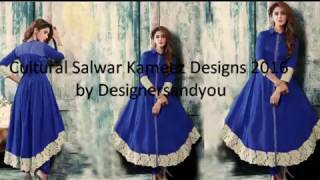 Smart shoppers must tap here because we are offering cost-effective Kurtis, worthwhile Indian sari, Penny-pinching punjabi salwar kameez, that comes straight through the designers from the house of DesignersAndYou. AT DESIGNERSANDYOU, We invite you to compare our latest sari-blouse designs, Kurtitop, Anarkali dress with any other popular website because we know that our rates are always be unbeatable among all. We provide the price match guarantee wherein if you find the same product having the same quality somewhere else then we will get the product back and refund the entire amount back. Put your complete Trust on DESIGNERSANDYOU, The provider of best online shopping for women that never disappointed you at any stage in Online world.